This can help with dandruff, dry scalp, frizz and moisture. 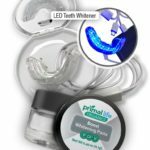 NEW 100% natural teeth whitening system. It doesn’t include any gross tasting bleaches or toxic ingredients which means it won’t leave your teeth super sensitive after using. 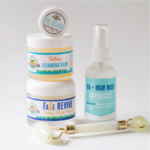 Everything you need to REVIVE your skin! 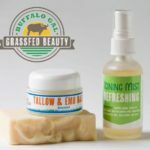 Mature skin deserves the most nutrient-dense skincare on the planet, and this Grassfed Water Buffalo Tallow makes the perfect base for revitalizing your complexion! 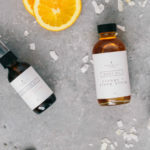 A bundle of clean and natural beauty products from ShopAIP! 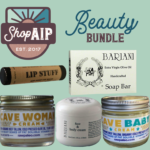 Includes Bariani face & body cream, Bariani Extra Virgin Olive Oil Handcrafted Soap Bar, Raw Paleo Cave Woman Cream & More! 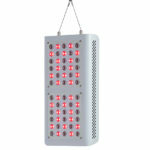 This combines this powerful healing technology with the benefits of deep red wavelengths, which are also extremely well supported by the scientific literature. Primally Pure use nature’s most precious elements to make non-toxic skincare products that support radiant skin, a healthy body + a happy self. 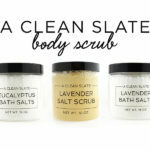 A totally indulgent line of bath salts and moisturizing salt scrubs that are simple and non-toxic. 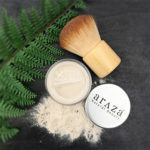 The first Paleo-certified makeup! It’s non-toxic, nourishing and performs great! The best all natural products for cleansing, toning and moisturizing your skin! I love this high-performance mineral makeup when I want superior coverage with natural ingredients! Morrocco Methods makes amazing natural, non-toxic, plant-and-clay-based shampoos. Morrocco Methods15% off with "PaleoHair15"
Paleo, paraben-free and 100% biodegradable, made only from raw ingredients like seaweed and clay. It even doubles as a moisturizing body wash packed with natural botanicals and herbs to help protect and soothe baby’s sensitive skin! Skincare, haircare & makeup is made with plant extracts, clays, healthy fats & whole foods! 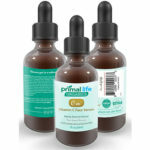 Simple extracts, clays, healthy fats & whole foods make this incredible skincare line from Primal Life Organics healthy too! I trust The Eczema Company for natural eczema treatments for children and adults.